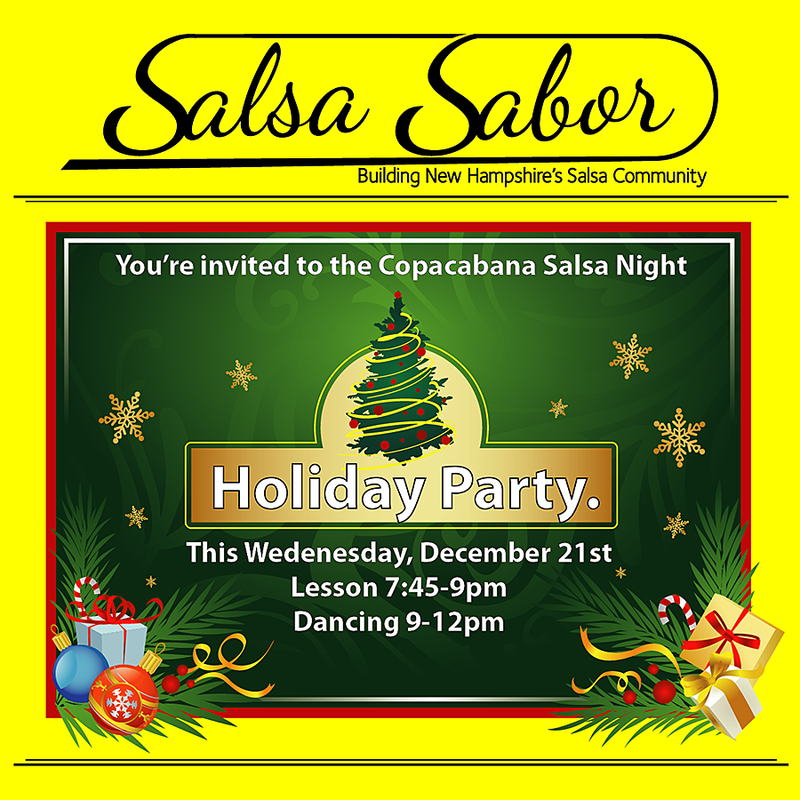 You are invited to join us in a celebration of all things holiday this Wednesday evening at Copacabana Salsa Night. 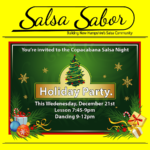 Come for an evening of merry making and well wishing as we celebrate the holidays with out salsa family. 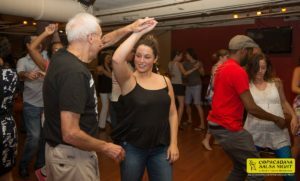 Copacabana Salsa Night has grown into a welcoming vibrant diverse community of dancers which warms our hearts. Come enjoy some good cheer and great dancing on this special night. Weekly Salsa lesson will still take place from 7:45-9pm. 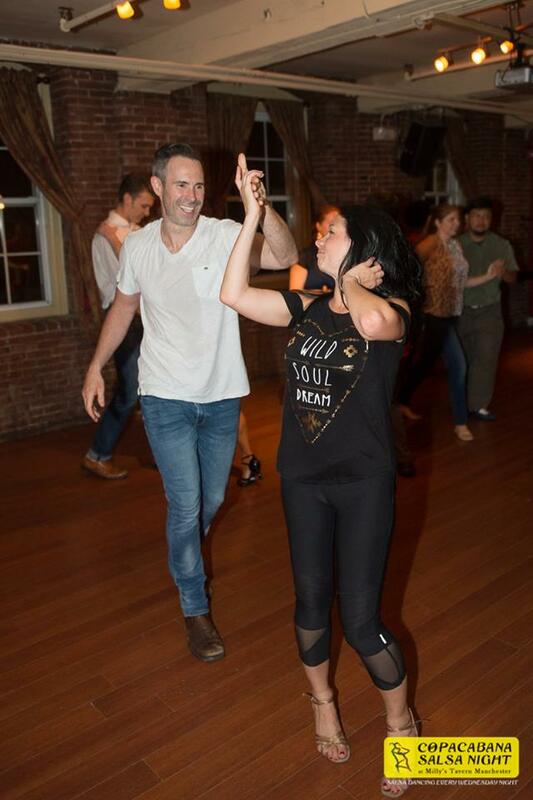 Social dancing starts after the lesson, and will go till midnight! 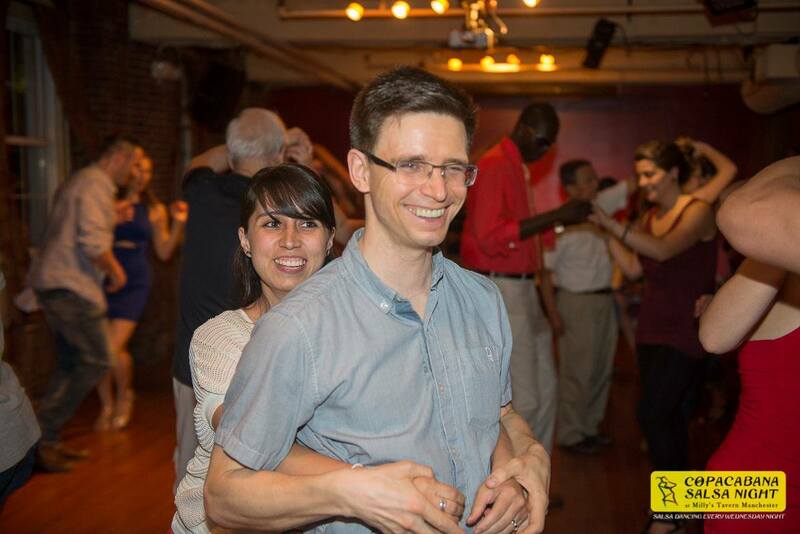 Enjoy the best mix of Salsa and Bachata music as you dance the night away. 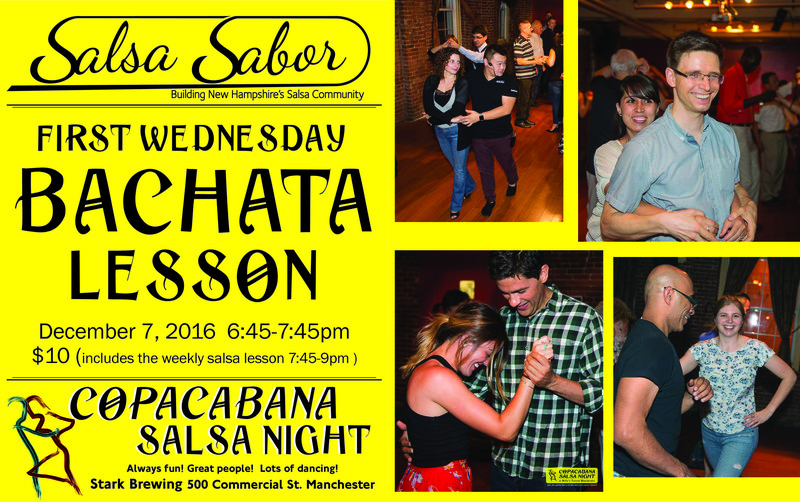 There will be special decorations, cookies, and performances by local teams on this special Salsa Wednesday. Dress to impress, bring friends, and come have fun with us all! 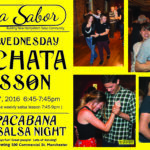 Come have fun with us tonight as we host another great night at Copacabana Salsa Wednesdays. 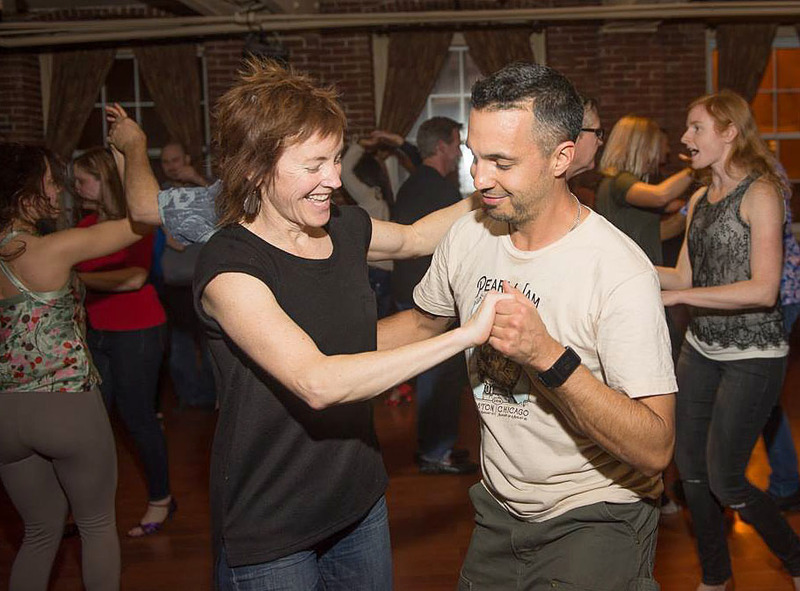 Every Wednesday we start out with Salsa lessons with both a beginner and Intermediate lesson from 7:45-9pm. This is a fun friendly way to learn to dance salsa in a welcoming community. No partner is needed. No experience required. Lesson costs just $5. 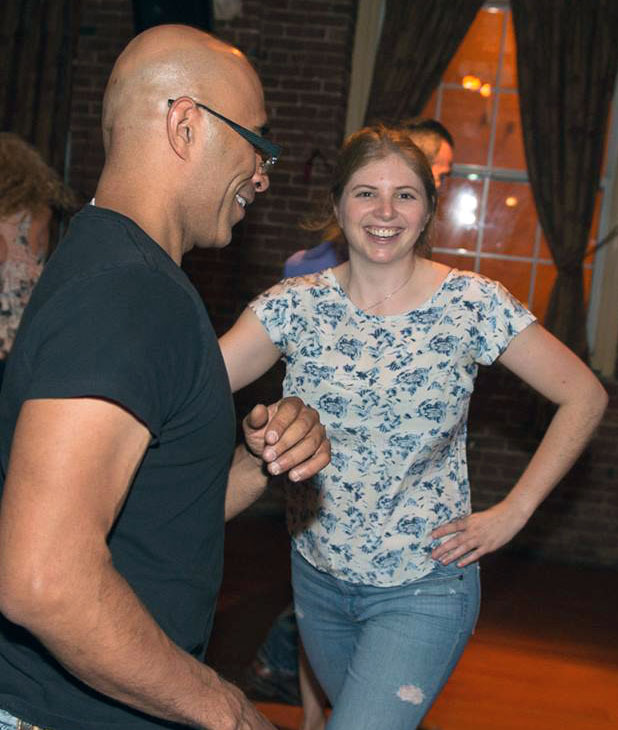 After the lesson the party gets started with the floor opening up for social dancing to a mix of Salsa and Bachata with a dash of ChaChaCHA. 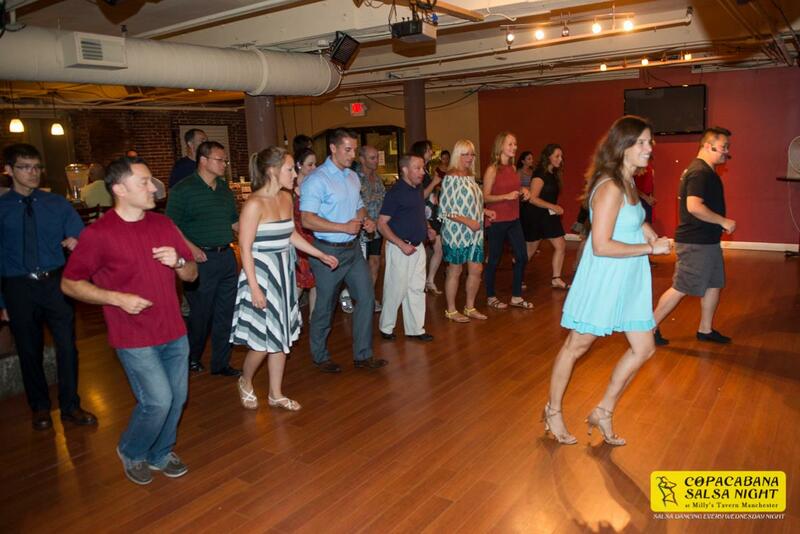 Never a cover charge at Copacabana Salsa Night so come check us out and dance the night away! Moe at the bar will take care of you, with delicious food, house drink specials and Stark Brewings own selection of beers on tap. Remember to support our venue, as they support our community by allowing us to dance every week. This years Holiday Party is December 21st so get ready to dress to impress on this special night. Stay tuned for more info. First Wednesday Bachata at Copa tonight! It is the First Wednesday of the Month. 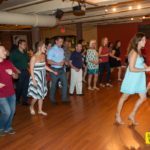 That means our once a month Bachata Lesson takes place from 6:45-7:45 before the weekly Salsa Lesson this week at Copacabana Salsa Night. Cost is $10 and it includes the Salsa Lesson. See you on the Dance Floor Tonight!